“While we were disappointed to be in this situation, the commitment and dedication of our team to make the necessary repairs – safely and event free – were outstanding,” said STP President and CEO Ed Halpin. After a little more than three weeks, STP Nuclear Operating Company’s Unit 2 returned to 100 percent power late Friday evening. On Wednesday, Nov. 3, the 1,350-megawatt unit automatically shut down due to a non-safety related equipment failure – an electrical fault created an under voltage condition, which drove the unit shutdown. The majority of the company’s 1,200 employees worked in shifts 24 hours a day, seven days a week to make the necessary repairs to the unit. The STP team – representing departments including operations, engineering, maintenance, and purchasing – safely worked more than 50,000 hours during the past three weeks to return the unit to service. “While we were disappointed to be in this situation, the commitment and dedication of our team to make the necessary repairs – safely and event free – were outstanding,” said STP President and CEO Ed Halpin. “Organizations from throughout the company worked in concert through a very challenging and complex process to safely return the unit to service. This was a tremendous effort on the part of our team. In true STP form, the emergent work was conducted without a single safety incident." On Thursday, Nov. 11, the company made the decision to extend the Unit 2 outage to repair a seal-housing gasket on a reactor coolant pump, which moves water through the reactor coolant system. Each of the facility’s two-units contains four reactor coolant pumps and four steam generators. The outage team also repaired an electrical switchgear cubicle that was damaged when a circuit breaker malfunctioned. With the help of a vendor in Houston, the cubicle was disassembled and then rewired, and 50 major components – transformers, transducers, relays, switches, fuses and indicator lights – were replaced. The refurbished switchgear cubicle was returned to STP last weekend for installation. 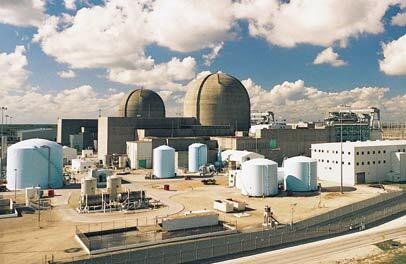 For the past six consecutive years, STP has produced more energy than any other two-unit nuclear facility in the nation. The facility is managed by the STP Nuclear Operating Company and owned by Austin Energy, CPS Energy and NRG Energy. STP’s two units produce 2,700 megawatts of carbon-free electricity, enough to power two million homes.